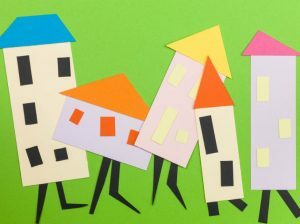 Landlords with properties across the Ashford borough are being urged to prepare for changes to the rules governing Houses in Multiple Occupation (HMO). From 1 October 2018, all HMOs with five or more people comprising of two or more family units will require a licence to operate. Currently an HMO licence is only required if a property is over three or more floors, so the main change is the removal of the number of storeys from the HMO definition. The changes are contained in The Licensing of Houses in Multiple Occupation (Prescribed Description) (England) Order 2018. The government estimates that the changes will mean an extra 160,000 properties will need to be licensed in England, with Ashford Borough Council estimating that up to 150 properties will need to be licensed across the borough. The new legislation will also introduce minimum space standards for bedrooms. Rooms sleeping one adult must be no smaller than 6.51m2. And any rooms sleeping two adults must be no smaller than 10.22 m2. Rooms slept in by children aged 10 or younger must be no smaller than 4.64 m2. Where minimum space standards are not being met, councils will be able to grant a period not exceeding 18 months to rectify the situation. Landlords must also provide adequate receptacles for the storage and disposal of household waste produced at the property. Landlords are required to apply for a licence before 1 October and comply with any changes needed to be made. If, after this period you have not complied with the new scheme, you could face serious penalties, including hefty fines and criminal prosecution.